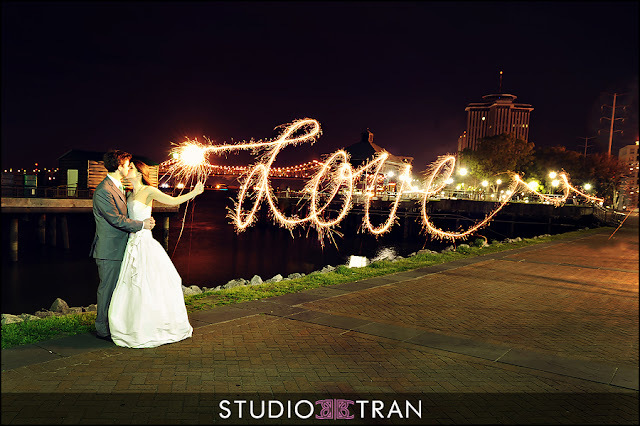 Sparklers can be used both indoors and outdoors. 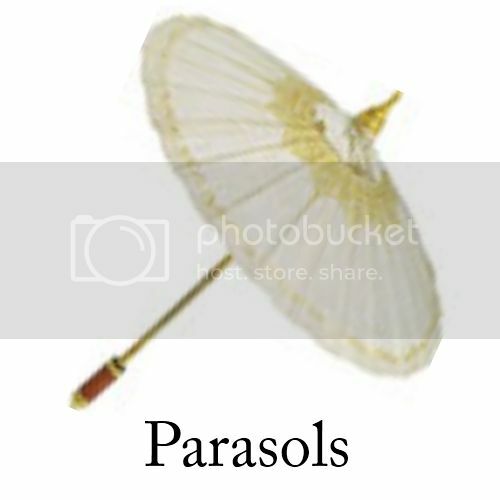 They come in a variety of sizes from 10 inches to 36 inches. 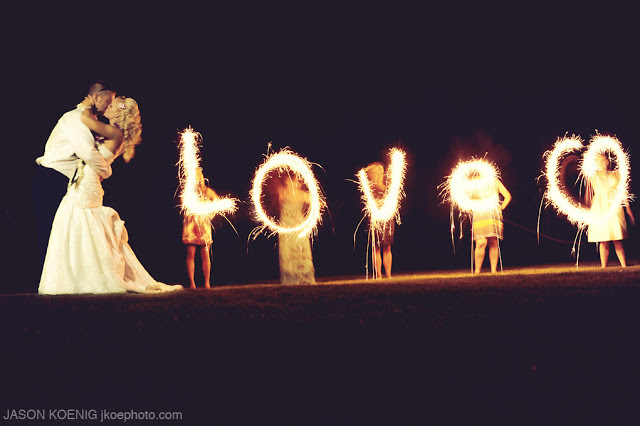 Some stores also sell sparklers come in heart shapes or neon colors like gold, red, yellow, or blue. 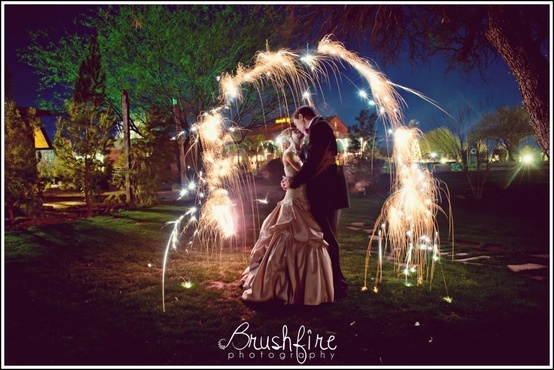 If you want to use the classic sparkler at your wedding but not sure how to do it, follow these uses and let them inspire your event! 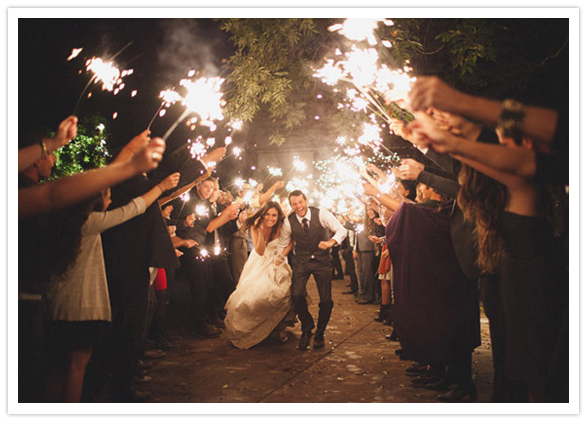 The common use of wedding sparklers is to have a farewell exit of the bride and groom with the light of sparklers. The sparklers would light up the tunnel or passageway the couple would pass under. 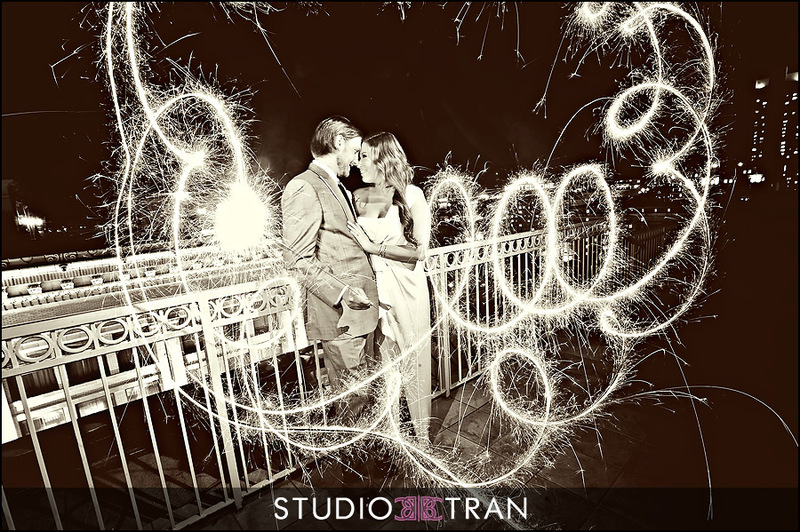 Look at the way the sparklers twinkle against the dark night. 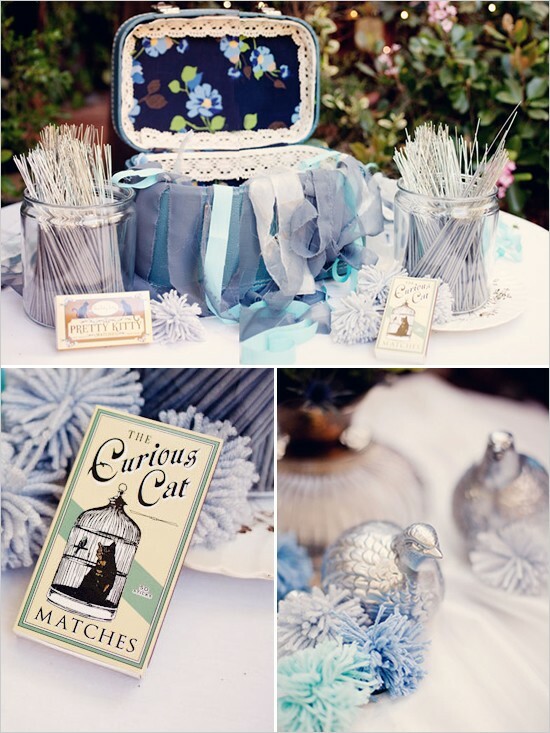 It's simply elegant and enchanting and just look at the beautiful pictures! 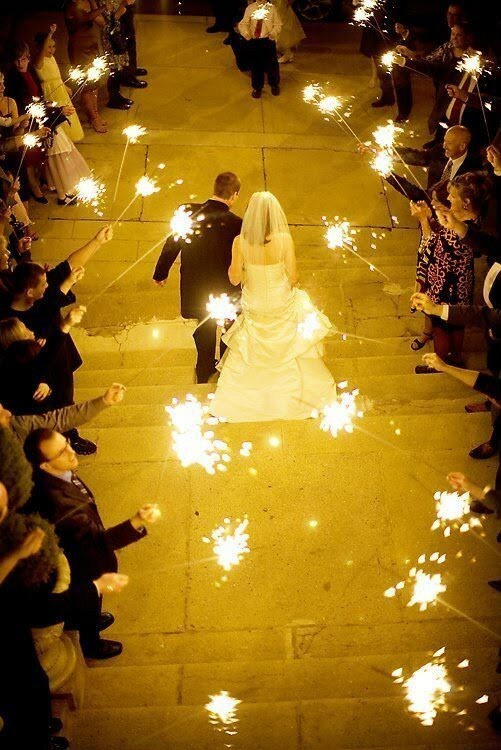 If you're having a daytime wedding, you can still use sparklers. 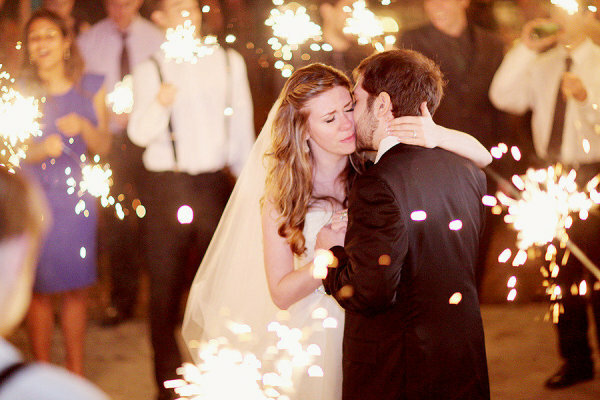 Have the lights turned off for your first dance or while cutting the cake and have guests stand in a circle with sparklers around you. 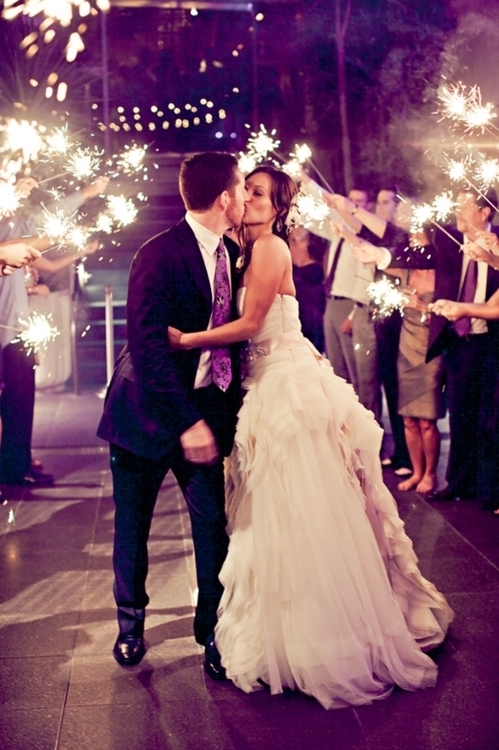 Be sure to check with your venue to ensure they are acceptable. 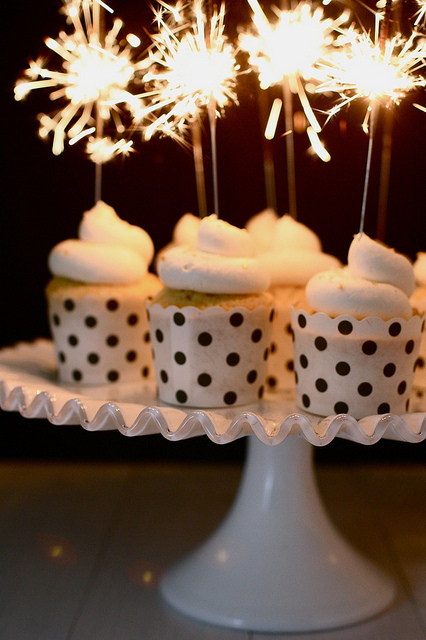 Give your guest the sparklers in a creative fashion. 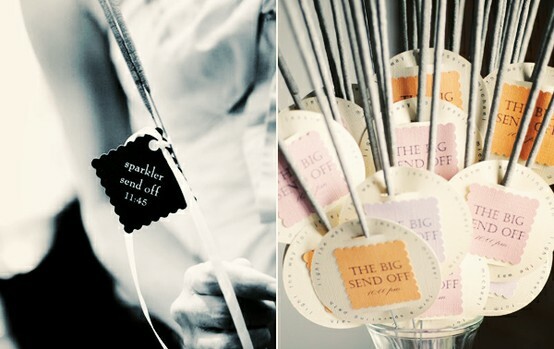 You can distribute them when guests are entering or leaving your wedding ceremony or reception. 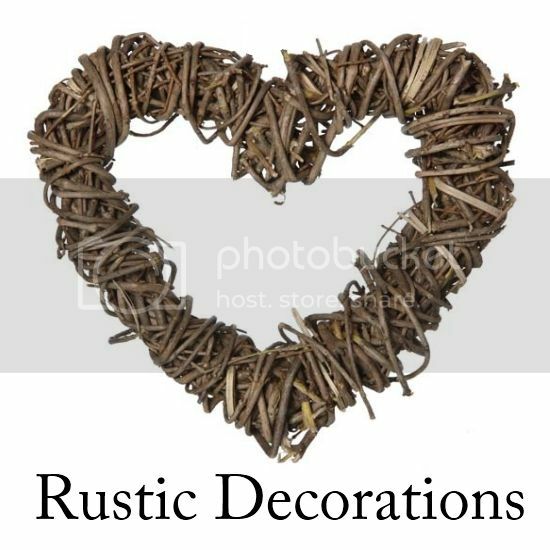 Place them with the wedding program or you can have them in decorative containers like ceramic pots, mason jars, colorful metal buckets, small glass vases, etc. 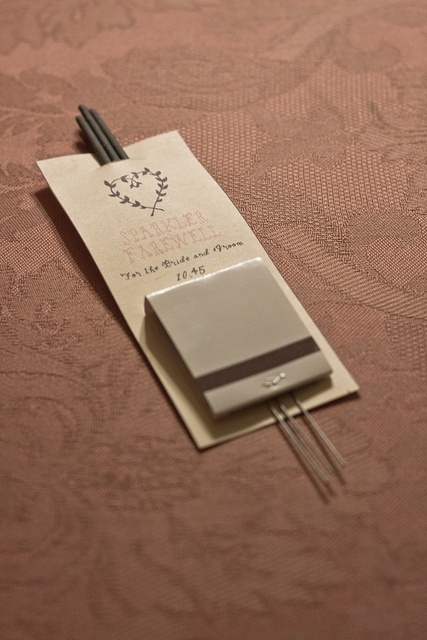 You can even make them part of your place setting. 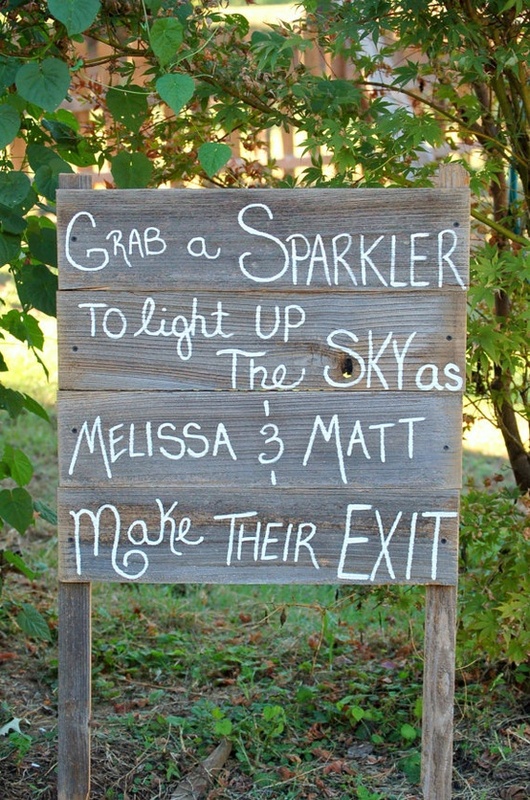 Don’t forget to label them with a chalkboard with the word “Sparklers” by the sparklers. 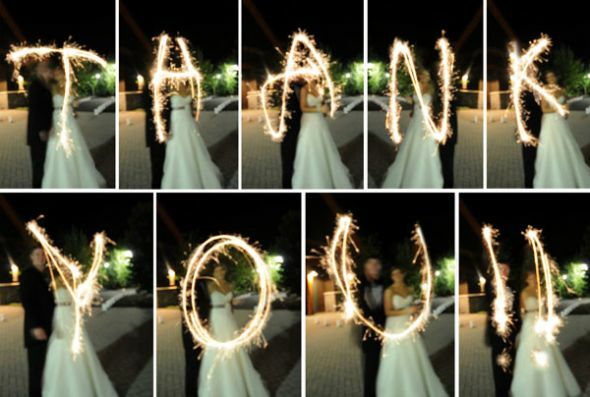 It is a good idea to let your guest know what to expect with the sparklers. 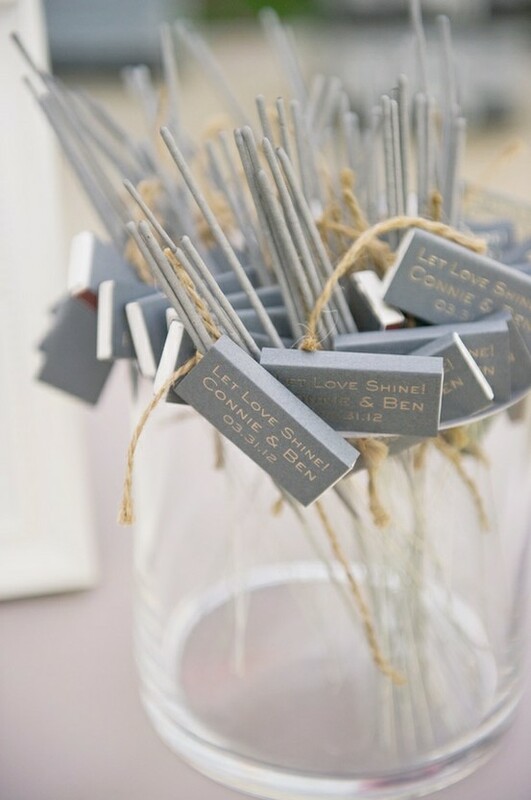 You might want to include a tag or label that tells them when to light the sparklers. 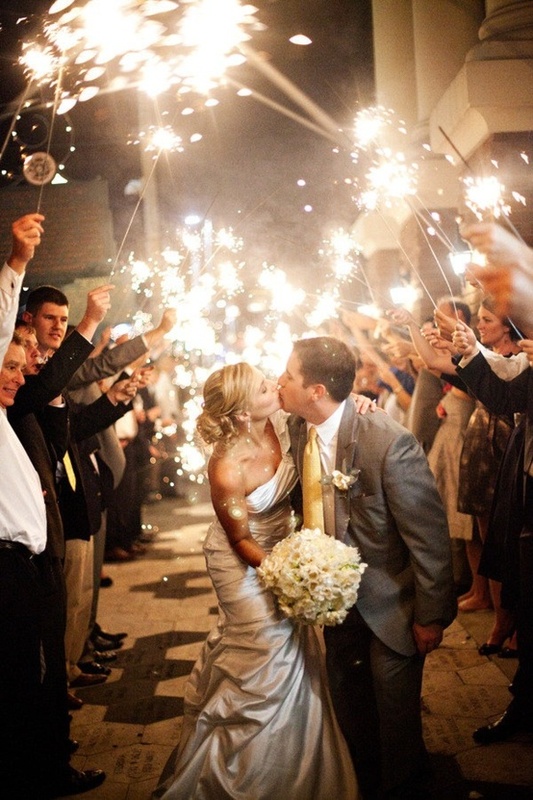 It is a good idea to provide either matches or a lighter for guest to light the sparklers. 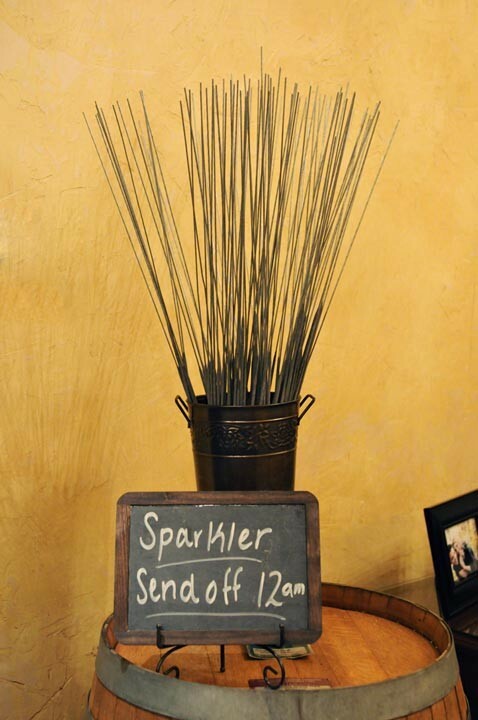 And make sure there are large buckets of cold water so they can toss in their used sparklers safely. 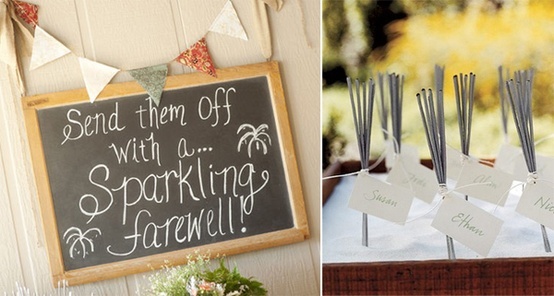 Encourage the guests to throw in their used sparklers after they fizzle out. 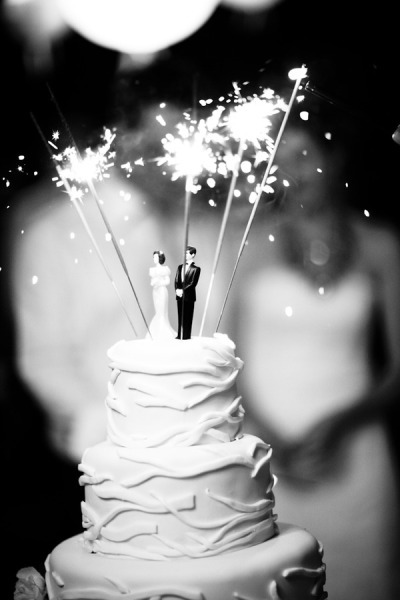 Sparklers can work as amazing toppers. 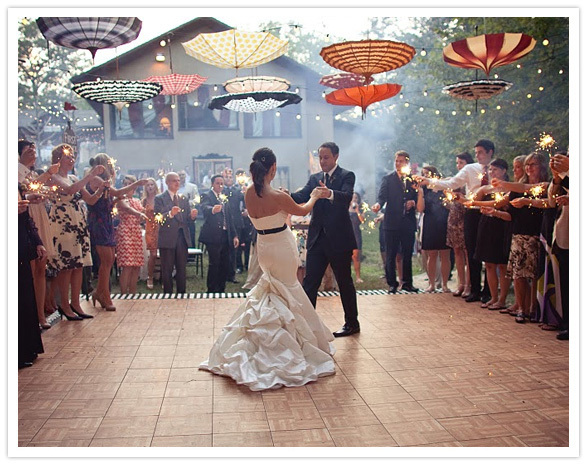 They are a stunning way to top off any reception. 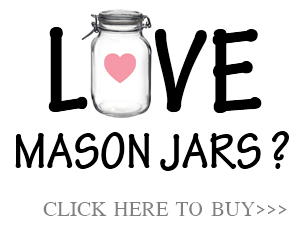 Try putting them on top of cakes, cupcakes or a desert tray. 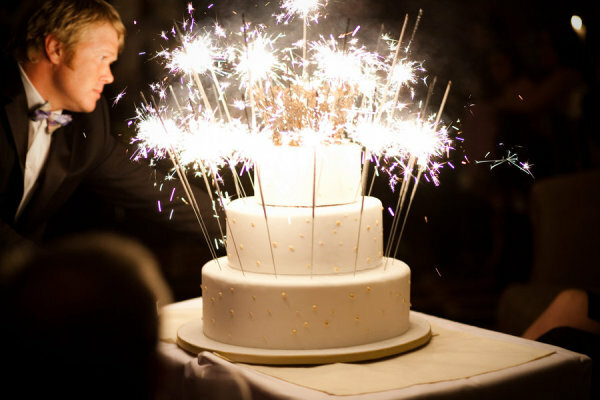 The sparklers look like a firework show on top of the cake. 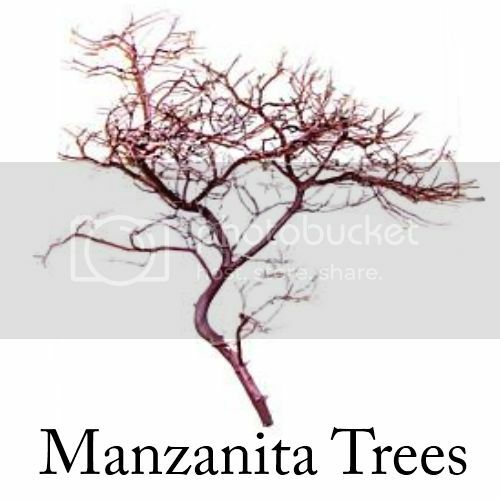 That's a sight you're guest will definitely remember. 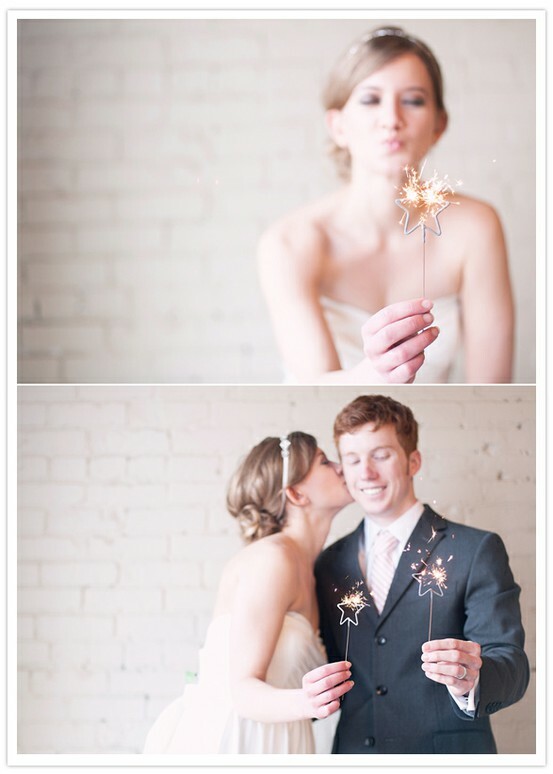 Or you can just use wedding sparklers for some fun wedding photographs. 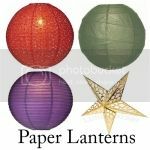 They would be great for your thank you cards! 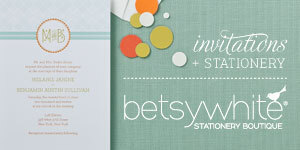 Don't forget, you can get your bridal party involved as well.